Amy is known around these parts for her delicate and refined touch, some might even call it girlie. Underneath the pinks and paisleys, Amy had a fine trick up her sleeve, 74' of trick to be exact. 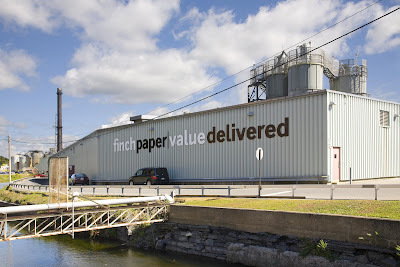 Long a hardworking yet unadorned part of our community, the Finch Paper Mill needed a sign. A very big sign. 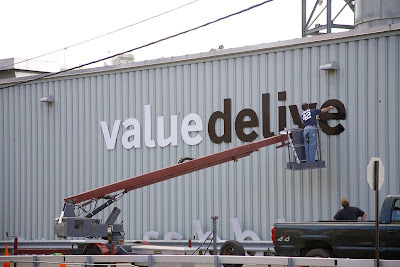 Amy worked with Beth Povie to get it just right and the folks at Sign Perfect hung it exactly to spec. A big job, well done. Sometimes you just gotta go big or go home. Finch Paper = Smart choice.